Feed Positioning System as the name suggest is used to precisely position or focus the feeds that are located on the four faces of the rotating turret. 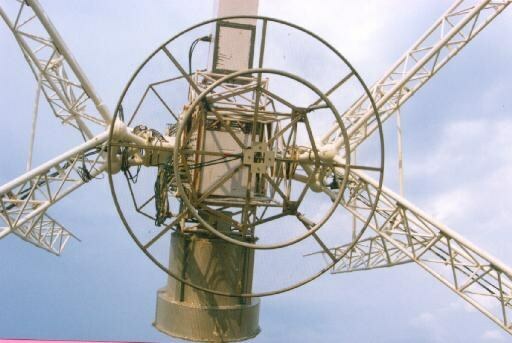 The Telescope is to be operated at 150,233,327,610 and 1420 MHZ.The feed can be positioned for desired frequency by rotating the feed turret . The precise positioning is achieved by using pulse width modulation technique to vary the speed of the DC motor as per the profile is shown in fig.4 .This is implemented with 8051 based microcontroller and feed drive cassette with power MOSFETS in 'H' configuration.